Tentacles is kind of an odd topic for me to choose since I don’t read a whole lot of books that involve tentacles. What kind of books involve tentacles anyway? Books set out at sea? Maybe books about weddings if comedian Demetri Martin were writing them? I’ve read a few books that had kraken in them, and one of them did in fact take place out at sea. I also read a couple of books in a series that occasionally had some sort of land tentacle creature show up and try to kill everyone. I’ve always loved this cover. The deep purple is a gorgeous color, and I love the tentacles in her hair. It’s a good book too! This one looks so fantastical and interesting! This one is just pretty. This one has a sci-fi look to it (idk if it actually is sci-fi or not) and has some nice artwork. Also, how is that guy so calm while being attacked by a tentacle monster?! Although, now that I look closer, one of the tentacles is in his pants, so… maybe that’s why he doesn’t mind lol. This one looks so action-y! I couldn’t pick one favorite, as I mentioned above, so I picked five lol. And I like this one because it’s kind of simple, a row of houses in a neighborhood, but the eerie look and the tentacles coming down is just so awesomely creepy! I just really like the artwork and the colors on this one. I LOVE the colors on this one. And the tentacles just look awesome. This one just has so much going on and is so cool looking. Love the artwork and the colors and everything. Well, it’s red and black, so of course I love it ;-) But it really is an awesome cover overall. That creature busting out of the building, and the silhouetted people with their hospital-equipment-turned-weapons, the blood splatter on the text—it’s just amazing! Which book cover with tentacles is YOUR favorite? I love the colour on The Sea Witch…purple is one of my favourite colours for book covers. It’s just so vivid. Squamous is quite eyecatching too! Nice choices this week! Deep purple like that is really pretty. So many of these are eye catching! Thanks! Awesome topic. My favorite is probably either Witch’s Curse (I just love the light blue, that would be a nice physical copy) or Blackout (which is just as creepy as it looks). I just finished Blackout and I recommend it if you want a quick, creepy read. I like the sea Witch though too (wouldn’t have even noticed the tentacles in her hair!) , and Carter Lovecraft I have to agree- those are the best LOOKING tentacles lol. the Menagerie is good too. Dead Shift I read last year but didn’t review it’s kinda freaky. I feel like I might’ve seen Blackout originally on your blog but I didn’t realize you were reading it recently. It does seem like it could be a fun creepy kinda read. And yeah, the Carter & Lovecraft has the best actual tentacles, haha. Didn’t realize you’d read Dead Shift either! It does seem freaky, just judging from the cover. Drangonfly recently posted: TV Show Review: The Young Pope – 5 holy stars… I think? Tentacles remind me of a rather traumatising fanfic I accidentally read once (the accidental part is that I didn’t know about the tentacles beforehand otherwise I would have read something else lol) so they kind of freak me out. I’m very curious as to what fanfic would have tentacles, haha. Actually, I’ve also read a book I didn’t mention in my intro that had a kraken shifter MC so there were lots of tentacles in that one lol (but none on the cover unfortunately)! But I agree, I love these covers. Both of those are so pretty! Ha, loved this theme, very cute. Thanks! Tentacles are cool but also creepy lol. And I love that wedding chart thing, haha. Okay, I would have thought covers with tentacles on them would be really hard to find. Turns out I was wrong. Why are there so many covers with tentacles on them? Surely there aren’t that many ways you can include some kind of tentacle creature in a book? I feel like I need to go read some of these books just to see how they do it. I do agree there are some pretty awesome covers to be had, though. I’m liking the Lovecraft one, it’s subtle and interesting and I like it. I’ve learned that it’s often surprising what is actually on a lot of covers or not. And a lot of tentacle covers are Lovecraftian horror books, it seems. Also books with krakens. Who’d have thought there would have been some seriously nice covers with the theme of tentacles!!!!! Not sure what’s going on with First Watch but it did make me laugh. Don’t think I could pick a favourite. The Sea Witch – for the colour maybe? Or the unexpected tentacles on Blackout? No, it’s too difficult. Seriously, they’re such a freaky looking thing, but the covers are so gorgeous! Lol I’m glad the First Watch cover made you laugh too. When i saw the title for this post I thought what a fun and original topic that was for a cover characteristics post, but at the same time I couldn’t think of any covers with tentacles on them or even books with tentacles in them. Although now that i see your covers I do remember seeing The Sea Witch before, I think I even got it as a freebie if I remember correctly. I think kraken and Lies is my favorite of this one. It’s a nice cover to look at and I like the style fo the artwork. And the cover for The Sea Witch is a great one too, the tentacles are more subtle there, but I think it’s a well done cover. The tentacles on the cover for The Dream Storm almost look magical with the coloring used on that cover. Lol it’s always surprising the things that are actually on lots of covers and others that seem like there would be lots but there aren’t. And yep, I’ve reviewed The Sea Witch and used it for other cover posts! It was free at one point, so you might have it. Kraken and Lies does have great artwork. And Dream Storm Sea does look really magical! Is it bad that I’m not even really sure what a kracken is? I still might be stuck on the point that there are so many covers with tentacles… or rather I should say, I didn’t even know this was a thing/Genre! You pick the best collections! Everyone is really surprised about that apparently, haha. But apparently tentacles are popular ;-) Thanks! HA! LOL…love your rogue topic! What awesome covers! This topic had to be done just for me right – haha. I LOVE tentacles and I have purchased many a book just because of them. I think my favorite one here is The Menagerie but it’s not just the tentacles, it the colors as well. I could add a few more to your list such as I Am Providence and the YA series by Jennifer Estap – although I forget the name. Great feature and I now have a few more to add to my wishlist! Haha that’s too funny. I actually find them a bit freaky, but they do make for some good covers! I also love the colors and everything on The Menagerie cover. 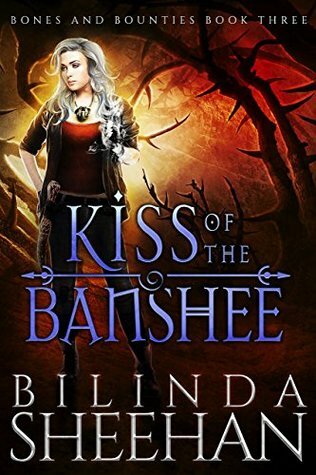 Oh, yes, I know which Jennifer Estep book you’re talking about! I do like those covers but didn’t think of that one. And the Providence one is simple but pretty! Lol. Release the Kraken!! At a wedding. Lolololol. That one got me. Yeah, tentacles on covers is pretty cool. I got to see Demetri Martin live once, he’s really funny, and I love that chart lol. And I agree, tentacles make some good covers! Squamous With a Chance Of Rain has to be put on my list of weirdest titles! Ha ha. I loved the graphic at the beginning of the post. All I could think of when I saw wasps was an Addams family wedding. ?. Lol I love weird titles. And I love that chart, haha. I don’t recall if I’ve ever seen the Addams Family wedding. Did they in fact release wasps? Lol. I’m a fan of mystery and feel the tentacles add a sense of secrecy and suspense. I personally have read The Sailweaver’s Son by Jeff Minerd. FANTASTIC book really for all ages. 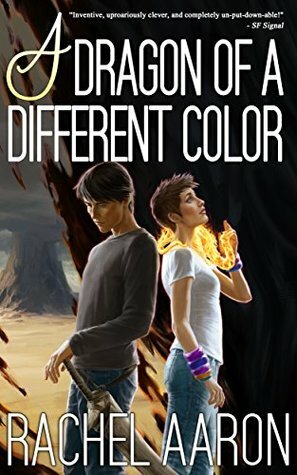 (action/sci-fi, fantasy) I felt like I was on an emotional roller coaster reading it. I will have to check out these other books too. Dead Shift and Carter and Lovecraft covers have caught my eye. Tentacles really do add a unique feel to book covers! I’m glad to hear Sailweaver’s Son is so good :-) Those other covers really caught my eye too, hopefully you’ll like them if you give them a try!